It’s either a flower, robot butterfly, or alien ballerina — maybe. Staring at the large, colorful concoction in her arms, Poppy Tian can’t tell you exactly what she’s looking at. The good news, though, is she’ll have the whole school year to figure it out. In the 1950s, UC Berkeley professor of decorative arts Herwin Schaefer devised a plan to spread his own love and appreciation for art across campus: an art-lending program that, for one semester at a time, would bring the likes of Picasso, Chagall, Matisse, and Kandinsky into the homes and hearts of students. In September of 1958, during the program’s first week, more than 5,000 students showed up. In later years, dozens of students would camp outside of Doe Library, waiting to claim a piece of art. Today, the Graphic Arts Loan Collection — GALC for short — is still going strong. 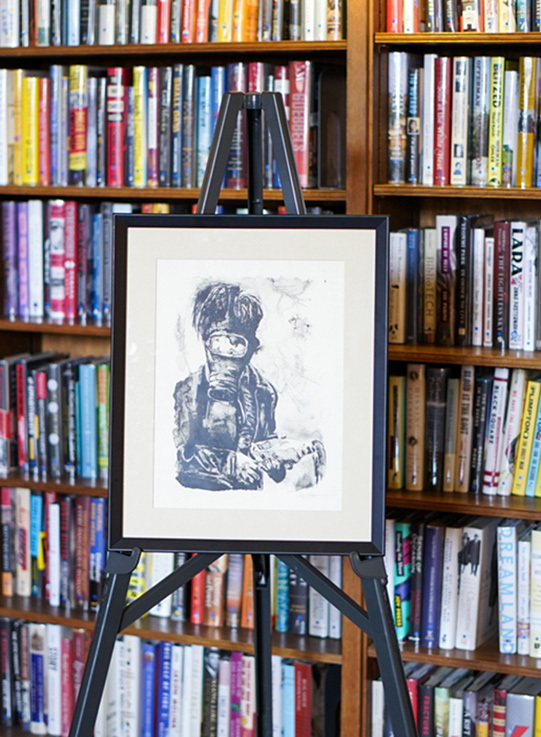 GALC is currently one of 10 university art-lending programs in the country and the only program run through a library, rather than an art museum, says Scott Peterson, head of Morrison Library, where the collection is housed. 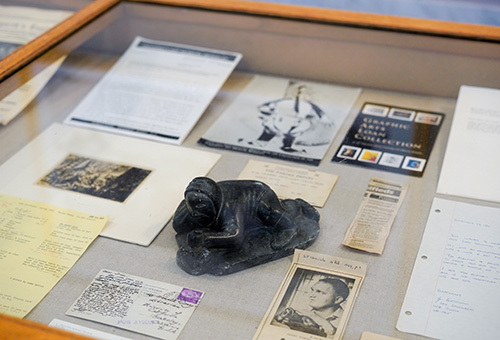 This fall, the UC Berkeley Library has curated an exhibit celebrating the program’s long and vivid success. Doe Library’s Brown Gallery will be filled with ephemera from the program, including collection catalogs, newspaper clippings, posters, letters from the community, and campus memos. Together, the documents tell the charming biography of a campus treasure now 60 years old. “It’s such an enlightened idea, to allow students to live with a work of art for a term or two,” wrote a student in 1983, in a note included in the exhibit. According to Peterson, interest in GALC has grown steadily over the last decade, with the number of prints checked out nearly doubling several years in a row. One day, in early September, dozens of prints sat behind Morrison’s front desk, bundled and ready for their new home. “These are all people who are excited to have art on their wall,” says exhibit co-curator Jennifer Osgood, glancing around the room. Many of GALC’s most valuable works will be on display in the exhibit, transforming the corridor outside Doe’s Brown Gallery. 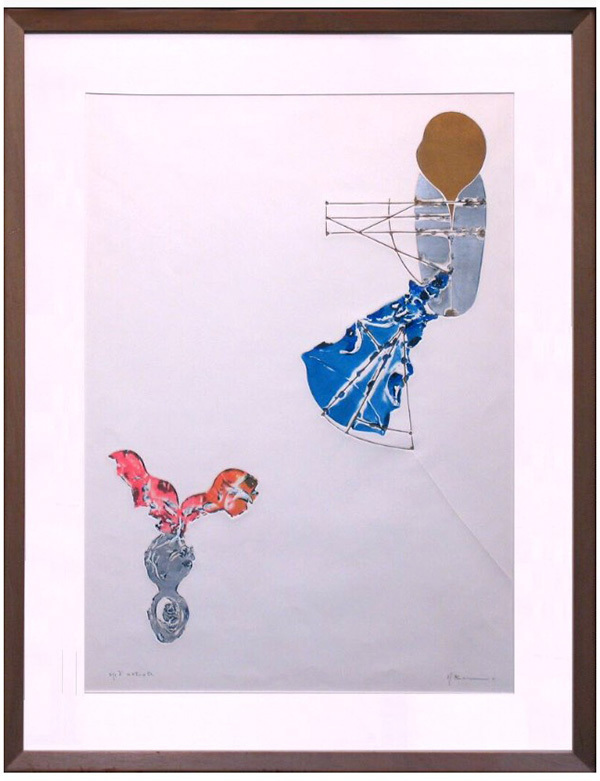 The walls will feature perennial favorites that are quickly snatched up every year, as well as works that have become too valuable to circulate. 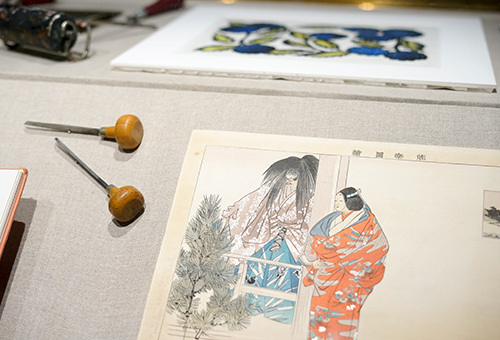 There are also displays dedicated to the history and diversity of printmaking, as represented by works in the collection — from relief etching and intaglio to lithograph and silkscreen. The nearly 900 prints in GALC span five centuries, says Osgood, who wanted the exhibit to reflect and inform that historical breadth. To shine a light on the artistic process, the exhibit curators included tutorials for several printmaking styles and the tools used for various mediums. To complement the exhibit, UC Berkeley lecturer and artist Randy Hussong will give a demonstration of the printmaking process in the Printmaking Studio, in 265 Kroeber Hall, on Oct. 5. The event, open to all, takes place from 2-3:30 p.m. 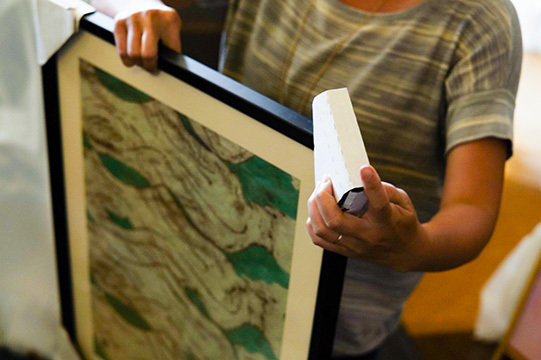 In the years to come, Peterson hopes to acquire new prints for the collection. 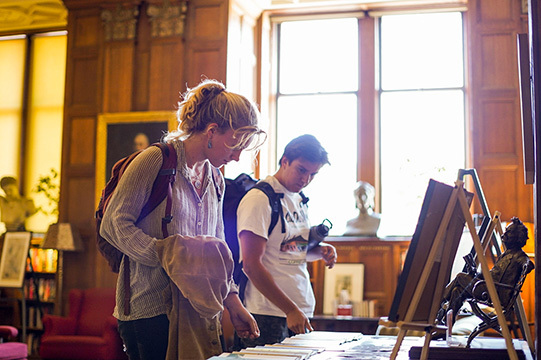 For many years — because endowment funds were going toward the restoration of existing prints — GALC grew only through donations from alumni who had enjoyed GALC as students and continued to collect art after college. In a way, that’s what Schaefer first imagined for GALC so many years ago, notes Peterson. For Osgood, the exhibit is a chance to take Schaefer’s dream one step further and encourage students to consider creating art themselves. One reason artists first started tinkering with styles such as woodcuts, Osgood says, is because it’s something you can do at home — without too much money or a fancy studio. 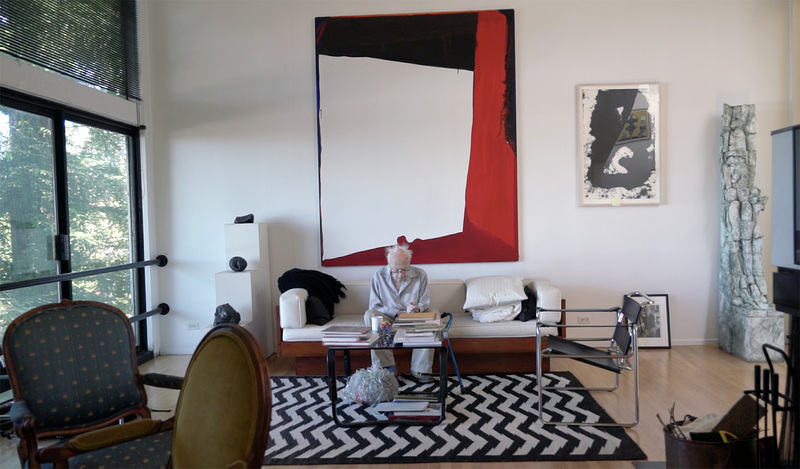 “A lot of people think (making art) is more complicated than it is,” she says. “It’s not — it’s something you can do on the weekends or in your spare time. The exhibit runs through Feb. 28, 2019. Students, staff, and faculty can reserve prints at galc.lib.berkeley.edu. Watch: A book made of wood and rocks?